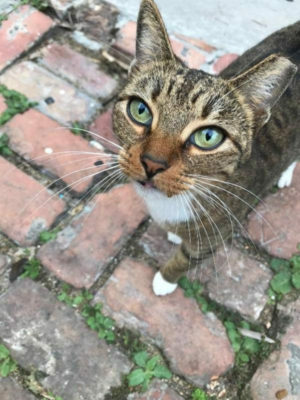 “For over 10 years, a fractured stray colony of 30 plus cats has been tended to by Key West locals on Caroline Street. 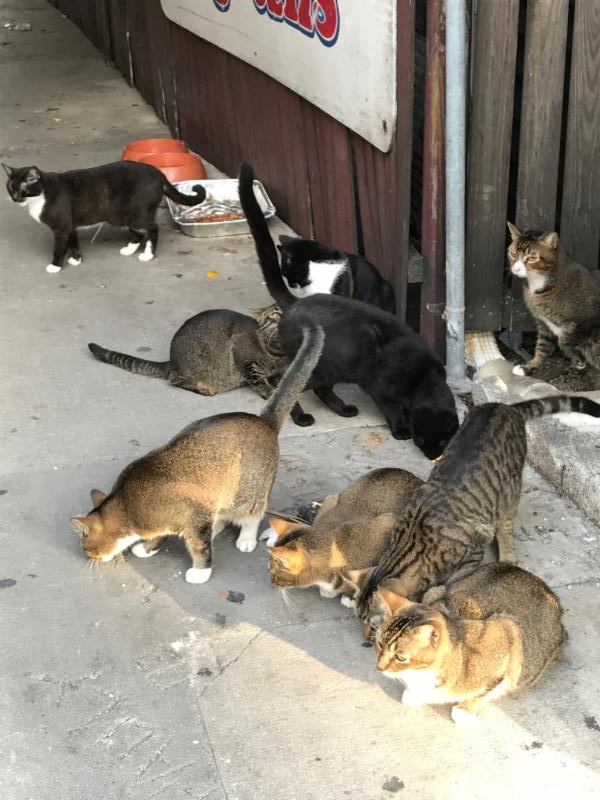 Local waitresses, bar managers, renters, neighbors, store owners, and Key West cat lovers have been leaving food and water for this incredibly affectionate and docile colony of cats. The cats live in the middle of a small dirty courtyard where bars and liquor stores back up together. They come out from under the structure of the stores, look over the roof easements at you, and peak around from behind building items as you shake a container of food for them. Although they are skittish at first, they soon are bumping against your legs and purring for affection. 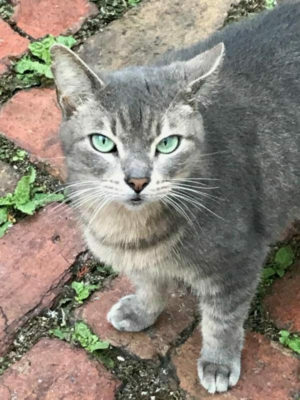 Efforts have been made in the last 2 months to socialize the cats more on a daily basis so that a wonderful organization called SNIP, Inc “Spay/Neuter in Paradise” can continue spaying and neutering the colony. Gwen and Valerie of SNIP, Inc. have been capturing and releasing cats of this colony for 6 years….successfully fixing 27 of these precious babies. Until recently, the goal was to spay and neuter all the cats in the colony and allow good souled citizens to continue giving these cats love, food, water, and protection. Now the goal is to ensure these cats survive. 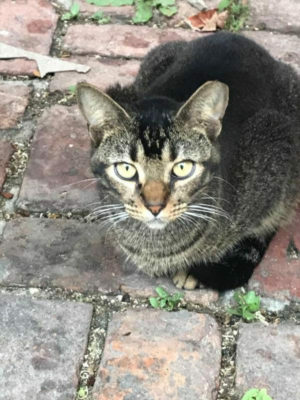 “Things have changed in recent weeks and people who have invested themselves in these cats started to notice missing water bowls, piles of food removed, and new construction in the courtyard. New ownership has arrived at one of the bars and those who watch over these cats have been told every single cat must go. We have been promised by the new owner that no animal will be harmed, but they demand removal immediately. These cats are not feral and have the potential to become cuddly indoor companions with the patience and love of willing cat-lovers. Coordinated efforts of SNIP and local volunteers are currently being made to quickly trap the cats in order to avoid any harm coming to them and to avoid them being pushed into the unknown streets where they will lack the daily food and water they have come to depend on. Trapping them is extremely difficult because most have already been trapped and released before from being spayed/neutered. It will be even more difficult to find a place that will take them all in and guarantee they are not killed. One involved citizen has agreed to take 3 of the 30 if we can catch them. 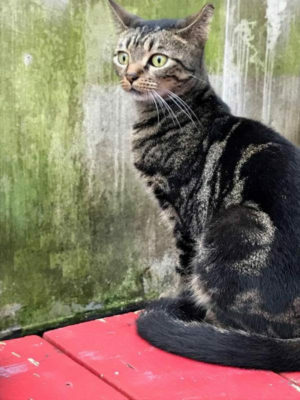 Our local shelter, Florida Keys SPCA, has agreed to come trap and place the cats in a special room to evaluate which ones have the potential to be adopted. The rest of the cats caught will be euthanized if we do not find homes for them. Since we have nowhere but the shelter to take these cats, we are hoping that their facility will be able to put them in a holding pattern until further fostering and forever homes can be found. We are going each morning and night right now to try and capture the cats immediately. We cannot meet the demands of the bar’s timeline, but are desperately trying. We need help of promised foster homes, permanent homes, and prayers. Excellent video… Beautiful creatures… They appear able and willing to respond to human contact and kindness. We have colonies and caregivers in Key Largo. It’s increasingly difficult to appropriately protect and look after these colonies, as those who don’t want them around have killed, poisoned and mamed these animals, in an attempt to eliminate and chase them from the locations where they are looked after. We have several Caregivers that never miss a day of tending to their cats. They spend their money in securing medical care, food, safety and a modicum of comfort for these innocent creatures, which were abandoned and discarded as trash by their owners. Sentient creatures should not be treated inhumanely and killed, simply because they are considered inconvenient. Society could use a little more kindness and compassion, rather than focusing on quick and easy fixes that emphasises destroying and killing anything it finds burdensome. There was a guy who would feed the cats outside the WWTP in Key Largo. You could set your watch by him. He was there every day. Every single day. Dedicated. 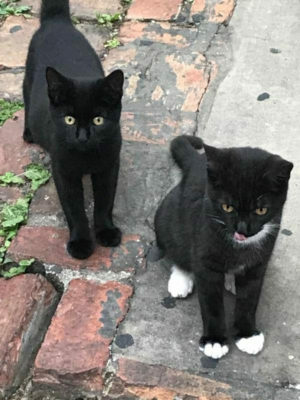 These look like beautiful cats. Many of us who support the local shelter on Stock Island believe their purpose is to PREVENT CRUELTY to animals isn’t that what the PC (PREVENT CRUELTY) in LKSPCA represents. 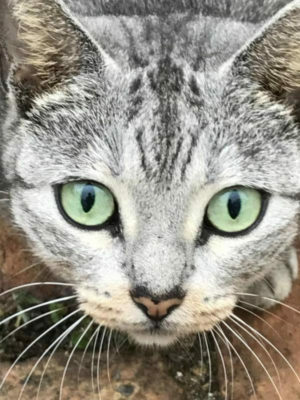 EUTHANIZING beautiful, friendly cats is NOT PREVENTING CRUELTY – rather it is KILLING beautiful animals that depend on us. Blue Paper please get the facts on what is going on here and let the public know! Also, please publish the name and address of this new bar, also the owners name – is this a local, or some opportunist looking to clean up in the bar scene – just what we need ANOTHER BAR! We all want to be sure we do NOT PATRONIZE this new establishment that can not live and let live with these cats. Some smarter businesses actually make them part of the establishment. I was recently at Blue Heaven with out of town guests and there were several cats roaming – all the customers loved them! There are also coffee houses and restaurants opening around the world who are specifically centering their marketing around having cats looking for homes in their businesses and adopting them to customers. Key west has become so uncreative, self-centered and greedy. Please provide info on this new business – I want to be sure I and my friends NEVER go there and I want to spread the word to others. Every day Key West sinks a little deeper – paradise definitely lost. Your penetrating insight and invaluable experiences are always sincerely appreciated. Thank you for taking the time to share your thoughts with “The Blue’s” readers. You reinforce a factual premise upon which I’ve approached this issue. Caregivers I know, have spent in excess of $10,0000, in recent years, providing medical care and treatment for the cats they care for. Clean water and fresh food is distributed to these creatures daily, “every day”. It is not always a panacea for these cats living outdoors. However, I’m certain, particular given the extraordinary care they receive, it’s preferable to being KIlled. These animals were abandoned and discarded as trash by their cruel owners. Criminal conduct by these abusers must never justify the slaughtering of sentient and innocent creatures. Blessings and Love to these dedicated Caregivers, who refuse to allow their colonies to endure further harm and unnecessary suffering. Rounding these cats up and killing them is inhumane, cruel and illegal. Comprehensively working through this issue, must include the Caregivers. Assembling a philanthropic team, with emphasis upon reasonable measures that will insure safe, humane and logical handling of theses cats is mandatory. Trap-Neuter-Release programs have and continue to be successful throughout the United States. All entities working cooperatively together, can ease the trauma and torment endured by these beautiful and innocent animals. What’s the name of this new bar so we can make sure not to patronize this establishment?! These kitties are a wonderful part of what makes key west, key west. To remove them because a selfish bar is insisting upon it makes me think maybe it’s the bar that needs to be removed. The new business is not yet open is our understanding. It used to be called the Havana Club [on Caroline Street].